The Lessons tool allows for the creation and aggregation of learning materials. Course content can be organized sequentially, allowing students to move through lectures, assignments, resources, and forums in one place. Lesson components can be set with prerequisites or requirements that modulate students’ progress through material. 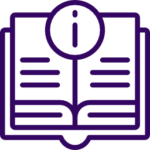 The Lessons tool can be accessed in your NYU Classes course sites. Learn more about the Lessons tool.